The Kartell Upper steps range by Alberto Meda & Paolo Rizzatto is a successful combination of form and function. 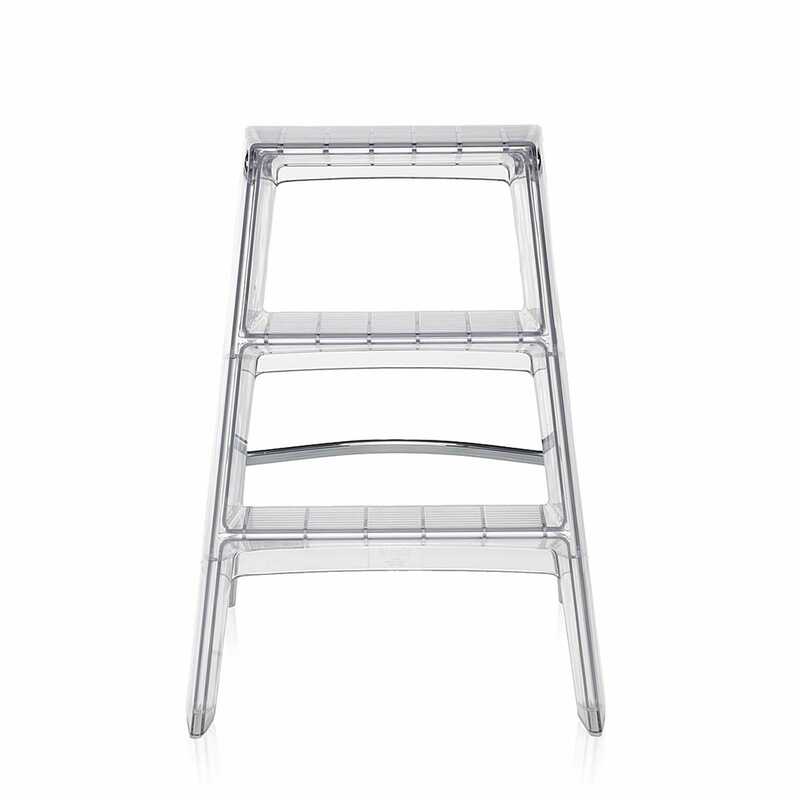 Made from polycarbonate and solid metal, this handy household design is great for accessing high shelves and hard to reach places with slip resistant steps. Just as shame that heals say delivery is 5 weeks and then wanted another 3 weeks to deliver to Central London . Kartell should be made aware that heals do them a disservice.